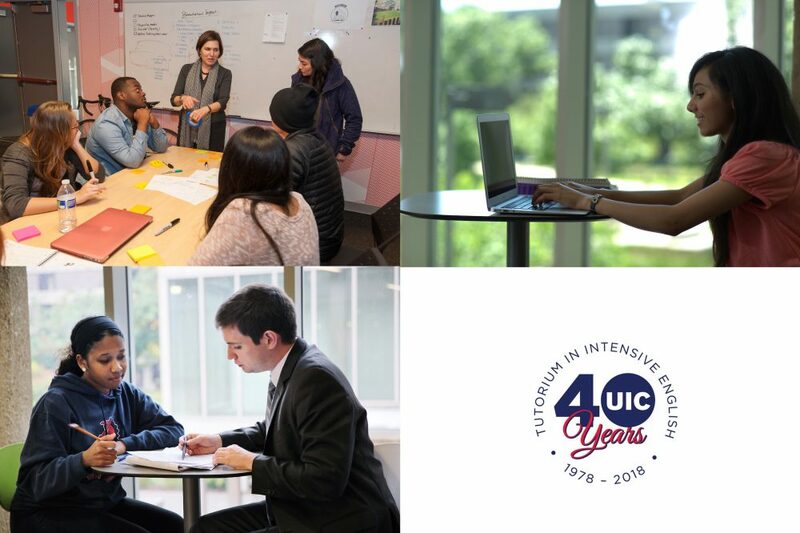 Did you know that UIC offers English Language support courses, private lessons, and proofreading and editing services? Students, faculty, staff, and members of the UIC and Chicago community are welcome to take advantage of these paid services. English for International Professionals Series (EIPS) in the Tutorium of Intensive English offers courses to help improve the participants’ pronunciation and speech clarity, writing and grammar, public and professional speaking skills, and prepare for English proficiency tests. Please visit our website for a complete list of courses. We also offer private instruction, custom-designed courses, and proofreading and editing services. We design classes for an individual or a group to address their unique language needs and find a time that works best with their schedule. Classes can meet weekdays, evenings, on weekends as well as online. Proofreading and editing services can be completed in person or electronically. EIPS instructors, tutors, and editing specialists all hold advanced degrees. This, along with our small class size, means that course participants receive high quality individualized services. Not sure what you need? – Please meet us for an information session on Thursday, January 24, 12 – 1pm, or Friday, January 25, 11:30am- 1:30pm at Addams Hall room 110. We will be offering Information Sessions and FREE on-site Language Assessments. To participate in the Information Session and FREE Language Assessment, please complete a registration form at: http://go.uic.edu/English (registration is recommended but NOT required). You may also use that link to request a more convenient time for you.